This is one of the last Triumph Heralds made as production stopped just under a year later in 1971. This Herald has been recently renovated to such a high standard, it’s probably the best example we have seen at the David Manners Group in recent years. The interior is largely new but in keeping with its original style with little to no modifications. The new leather interior with the sharp polished Dashboard can only make you feel this is how it would have looked when it left the factory floor back in 1970. The car is still used on a regular basis, and is a delight to see on the roads on especially on favourably sunny days and the top can remain down. The vibrant red paint only compliments the cars beauty further. We hold a large amount of stock for Triumph Cars, and many for the Herald. There are still over 2500 left on British Roads, and that number has remained consistent for many years now. We will be posting more pictures of this Triumph Herald on our Facebook page in the next few days, so please make sure to follow us. The Austin A70 Hereford is not as rare as we originally thought. DVLA statistics show that over recent years, the numbers registered as Sorn have decreased thus pushing the ‘on road’ numbers higher. The A70 is clearly a car that is being preserved across the UK and has found a new lease of life after years of dwindling road numbers. Originally produced between 1948 – 1954, over 80,000 were built before production finally ended making this one of the most popular cars of its time. The owner tells us that its petrol consumption is an issue but as a car it feels strong on the road. It always turns heads and rarely let’s down on long journeys. The only issue is its tough handling. You don’t really want to drive this straight after stepping out of a modern car, but the driving experience is certainly one to savour. Some parts of the Austin A70 are interchangeable with some of our MG and Morris Minor parts. Our customer has been buying from us for years keeping this A70 on the road, and we like to think we have played our small part in this. For me pictures of our customer’s cars please follow our Facebook page by clicking here. Following on from our successful appearance in the excellent Daimler Dart Restoration Special last night, we have now uploaded some behind the scenes photos from our filming day with National Geographic’s Car S.O.S Show. We were eagerly monitoring the response on social media for the first episode of the second series, and the comments were all favourable. Classic Car restoration shows have become popular over recent years and Car S.O.S is fast becoming one of the top shows to watch. Viewers were commenting that the show has started very much in the same vein as what made the first series so popular. The complete focus on the cars from start to finish has not been compromised with over saturated distractions. And yes, Tim Shaw, Fuzz Townshend and the team have still kept their unique brand of banter very much at the heart of the show. 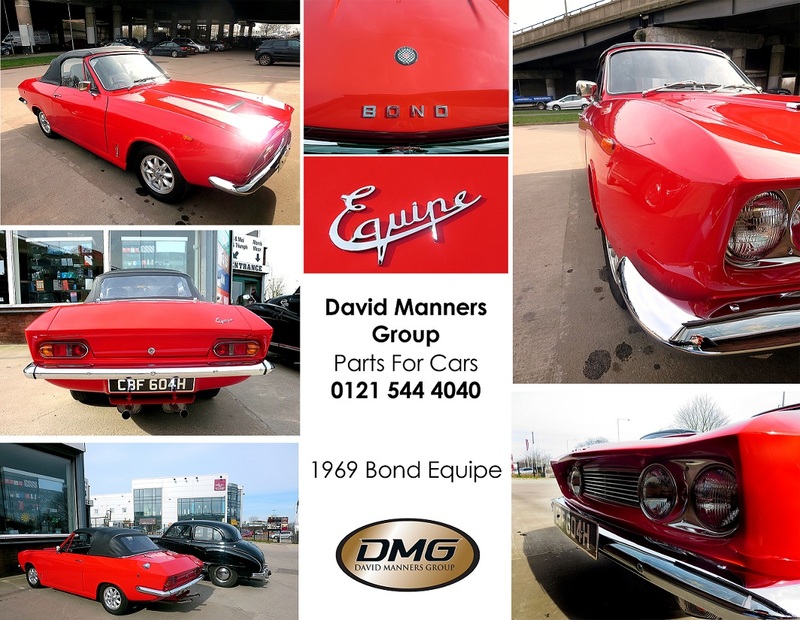 The David Manners Group are known worldwide for our parts supply of Classic and Modern Jaguar & Daimler Cars, so it was an honour that we could help out with this restoration. If you have not yet seen the show, we recommend that you tune in next Monday night for the next installment. To see more pictures from behind the scenes filming, please visit our Facebook page by clicking here. The popular Car Restoration Show ‘Car S.O.S’ is back on the National Geographic Channel next Monday as the second series kicks off with a double header. 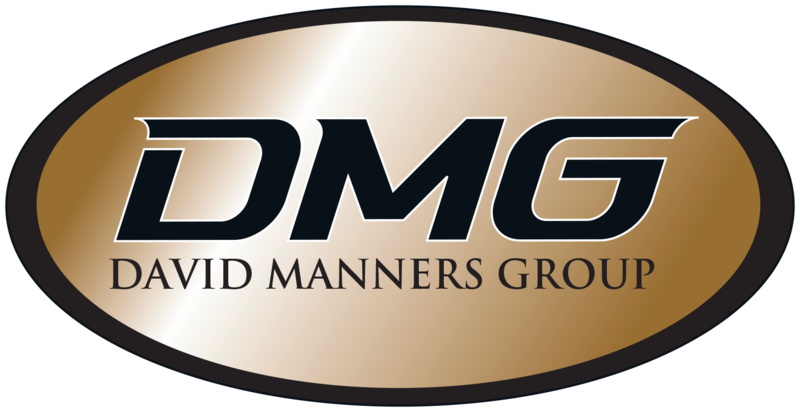 The David Manners Group will feature in 2 of the 6 episodes starting with a Daimler Dart special. 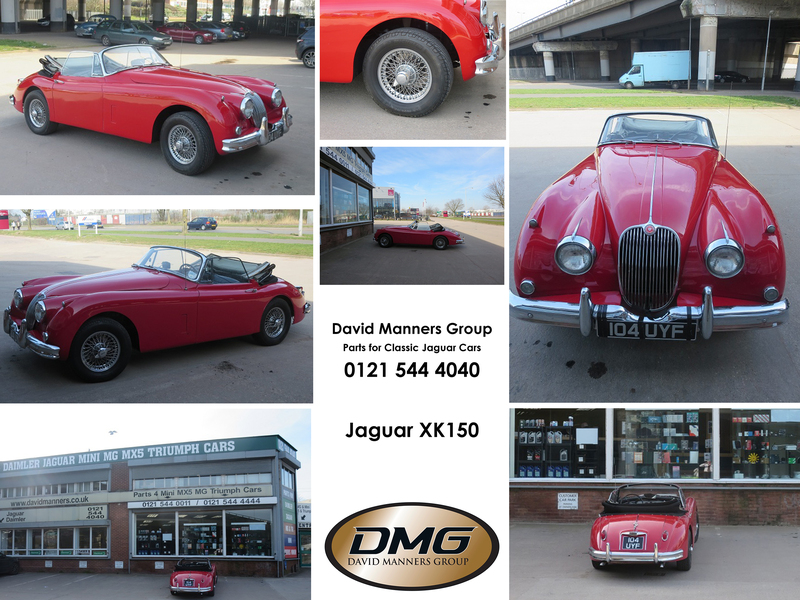 David Manners, owner of DMG started the business back in the 70’s by pure chance after trying to source an exhaust system for his Daimler Dart. Parts for the Dart were rare to come by which prompted David to have an exhaust system made (later increasing the order to multiple quantities). 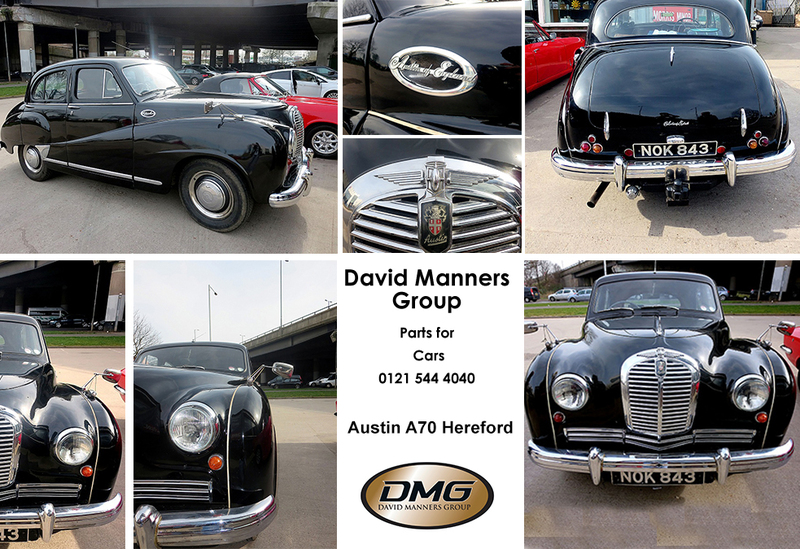 David then sold the remainder to fellow Daimler Club Members which started the beginning of the David Manners Group. We are known worldwide for being one of the leading suppliers of Classic Jaguar & Daimler parts so we are proud to help out with this restoration project. You can tune in on Monday 24th March 2014 on the National Geographic Channel from 8pm. We will also feature in a later episode restoring a Morris Minor Traveller. Follow our Facebook page for more updates by clicking here. The extraordinarily warm weather at this time of year has seen some of our customer’s spectacular classics come to see us in their droves. Over the next few weeks we will start to showcase immaculate examples such as an MG Midget, Morris Minor Traveller, Austin A30 and of course this Jaguar XK150. When this XK150 came to our on-site shop at the David Manners Group, we took the opportunity to talk Classic restoration, keeping a car of this age on the road, and of course take a few sneaky snap shots. Running a Jaguar XK150 is not as cheap as other classics of a similar age. At DMG, we try and help of course by keeping large quantities of stock for popular lines. This ensures customers are not waiting for weeks to wait for potentially obsolete lines and also helps keep prices competitive. When we get a decent break in the weather like we have this last week, enthusiasts are more likely to bring out their classic over the modern counterpart. Sometimes after sitting idle, the car may need a little attention. This is certainly what we have discovered lately. So a leisurely drive out turns into a leisurely drive to DMG. How convenient that we have the parts needed in stock. This Jaguar XK150 is a fine example of a well looked after and fairly consistently used classic. Still used on a regular basis, the XK150 is more than powerful enough to keep up with the demands of the modern roads, stop start traffic and motorway journeys. If you own a Jaguar XK120/140 or XK150, you can download free price lists from our website by clicking here. For a car named ‘Bond’, you would expect an air of suave to surround it. Well it certainly doesn’t disappoint, Infact this car would not look out of place in a Roger Moore era Bond film. The front grille has an American feel about it, but the body is quintessentially British. It is no surprise then that the Bond Equipe was based on the Triumph Herald. The Body is also fibreglass (it was made by the Reliant company). Many people may not have heard of the Bond name but over 4000 Bond Equipe cars were manufactured between 1963-1969. The 2 Litre convertible only produced around 600 and the low figures produced make this car an extremely rare sight to see. Infact, the DVLA statistics show that in 2013, only 76 are left on the road. 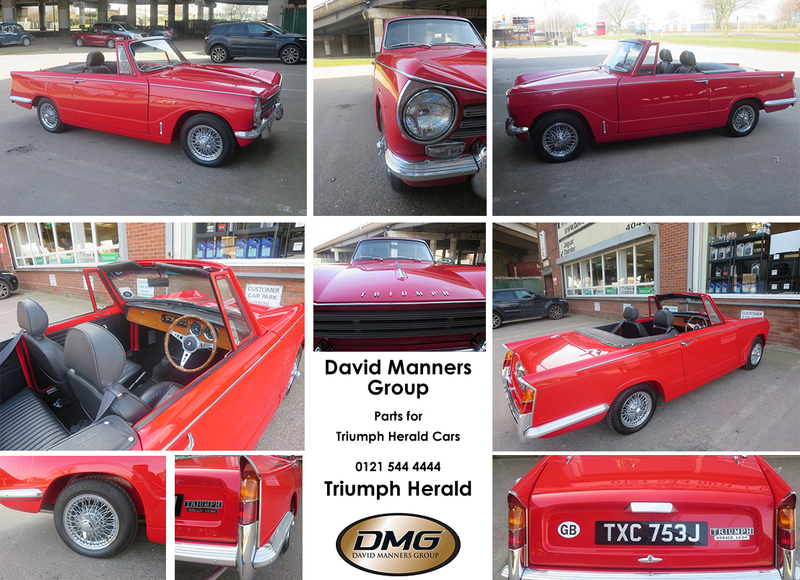 As many of the cars parts are interchangeable with Triumph Car Parts, our regular customer took advantage of the unusually sunny weather to take the car out for only the second time in 3 years, stopping to see us at the David Manners Group en route. This Bond has recently undergone a restoration for both the interior and exterior which makes it possibly the finest example left out of the dwindling numbers.